Every year we make a novena of prayers to St. Joseph. A novena is a period of nine days during which we meet to honour St. Joseph each day. 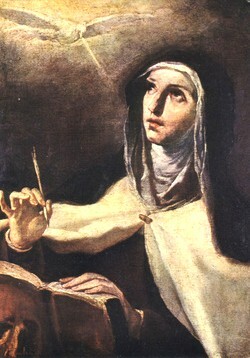 Our Foundress, St. Teresa of Avila had a strong devotion to this saint. He was appointed by God to be the protector and guardian of Jesus and Mary, his family. He has been named Patron of the Universal Church and is also the Patron of our Order, the Discalced Carmelites. How blessed a saint was Joseph to be chosen by God to be the earthly father of our Lord and Savior Jesus Christ! 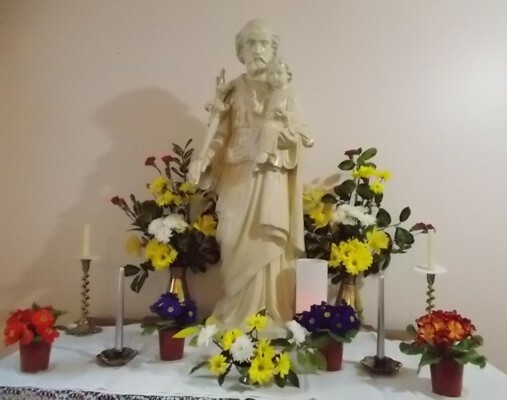 It is altogether appropriate for the Catholic Church to have a feast day in honor of Saint Joseph. What a wonderful man he must have been! Completely humble and consecrated to God throughout his earthly life.